Mitch Joel is an accomplished marketer, speaker, author and podcaster. He is also the president of Mirum, a global digital marketing agency. In this, Joel leads a panel of accomplished marketers to tackle native advertising — a concept that has proven difficult to define. As smartphones become an increasingly popular device for consuming content, “streams” of content are the new norm. Publishers are now working to integrate native ads into their streams so that they don’t stand out like sore thumbs. Instead, ads blend seamlessly with the publisher’s regular content so that the user experience isn’t confused or disrupted. Joel uses Google Adwords as a prime example of native advertising, which allows branded content to mesh with various platforms. 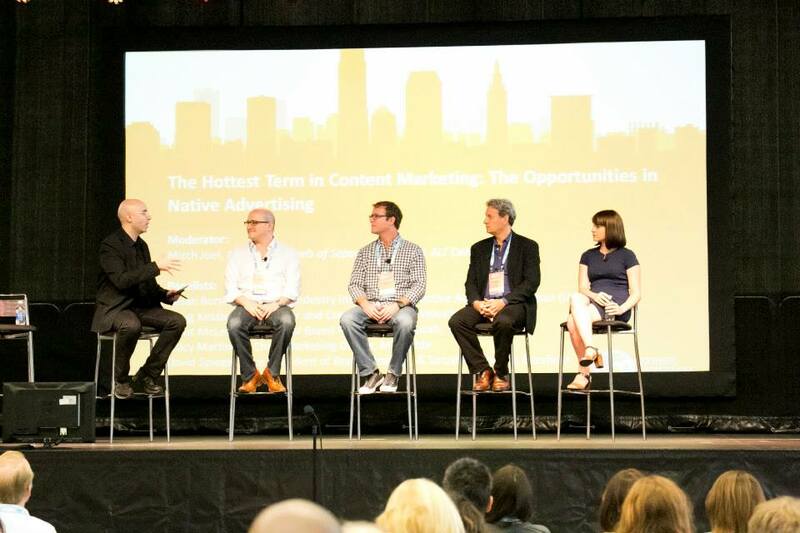 “Native” has become a buzzword in the digital advertising world. However, it has yet to be given a distinct meaning. Doug Kessler of Velocity Partners takes to the idea that native advertising is simply a rebrand of the term “advertorial.” It means removing the “ad vibe” from social media platforms. Meanwhile, in editorial settings, this kind of advertising takes on a different face. While these two types differ, both are stuffed under the “native ad” term, which muddles our understanding further. Performance varies depending on the platform used. Digital planners now pinpoint appropriate goals and messages for each platform. While complicated, this development is ultimately a positive, as it prevents publishers from using the same branded content. Brands now have the luxury to work with different platforms and publishers, while publishers have a tougher time in today’s digital media landscape. Thus, major publishers must limit what kinds of messages brands can circulate. BuzzFeed has six different teams working with clients in different specialties. Mashable leverages their community, which is predominantly mobile, to share and spread content across platforms. A side issue that is often brushed aside is whether blurring the lines between ads and content is wise. Do publishers and media experts have the responsibility to tell consumers what’s what? Most on the panel agreed: YES. Publishers like BuzzFeed have built a community of followers based on trust. Once that trust is gained, is it safe to distort it? Ultimately, the longevity of the publisher matters more than the short-term profit from brands. A study done by one publisher showed that consumers’ recognition of sponsored content is high (80-90%). Other data showed that users actually found the content interesting and engaging, and a surprisingly high portion (50%) looked into the brand after viewing the native ad. We’ll undoubtedly see the native approach to content marketing grow stronger in the next five years. As brands move away from forceful sales and toward human-oriented communication, consumers are developing stronger connections with their favorite brands. Fortunately for CMWorld, Mitch will be returning to Content Marketing World to talk about Why Content Falls Flat. Be sure to visit his session this year! Join us in September – registration is now open, and code CMI100 will save you $100 off of current rates.